Audi A8, BMW 7-Series, and Mercedes S-Class are the top luxury saloon on earth. They’re unbeatable in every single aspect, including sales number. Other luxury brands from Japan, like Lexus is always to beat them all. But The Trio always say ‘nice try’. And now luxury brands from USA is ready to fight with ’em. Will The Trio say the same thing? 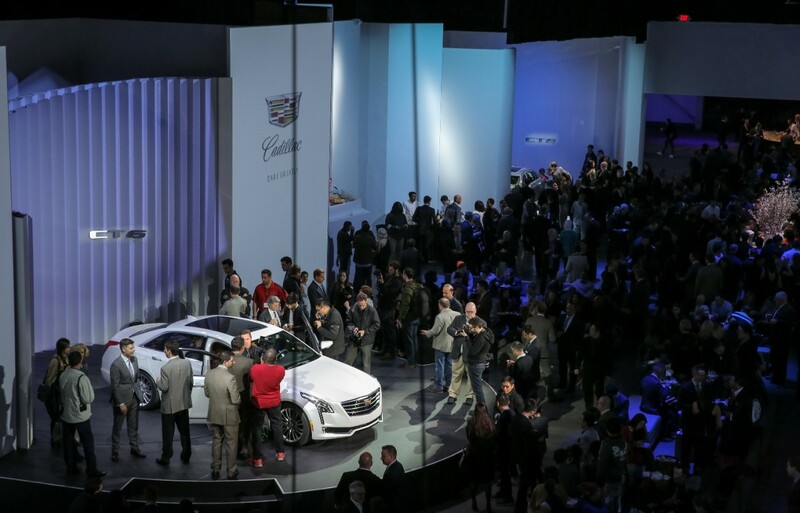 Cadillac’s gun to fight Audi A8, BMW 7-Series, and Mercedes S-Class finally revealed at this year’s New York Auto Show. 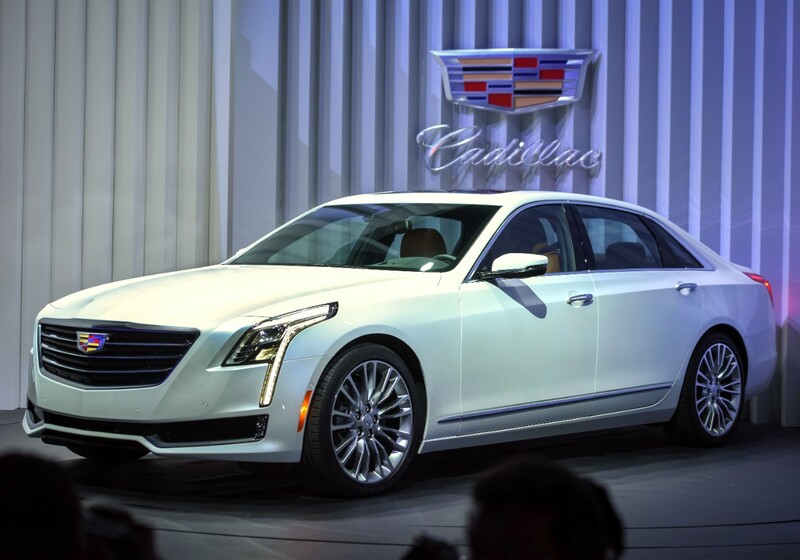 Named CT6, the four-door sedan is a masterpiece and flagship product from Caddy. As a luxury car, CT6 brings a lot of new technologies and features. Its exterior design reminds me of the latest Caddy CTS. For me, it’s okay. It looks good and perfect in its big body. Cadillac’s designers put some differentiation with longer LED Daytime Running Lights that is seen like tears. At the rear, we can see an elegant and simple design accompanied by LED taillights. Inside, the sedan has a nice interior design and high quality material. It gets wood trim everywhere and the best quality of leather. Rear passenger will get adjustable seats which are heated and cooled. Other features including quad-zone climate controls, 34-speaker Bose audio system, streaming rearview mirror, and 10.2-inch display that shows off CUE that can be controlled via touchpad or touchscreen. Ford’s luxury brand, Lincoln, has struggled to keep on track. Its latest models get positive reaction from public. Just like Cadillac, Lincoln needs a flagship car, too. Actually, it has a flagship named Continental but its sales and production has been stopped since 2002 due to slow sales. 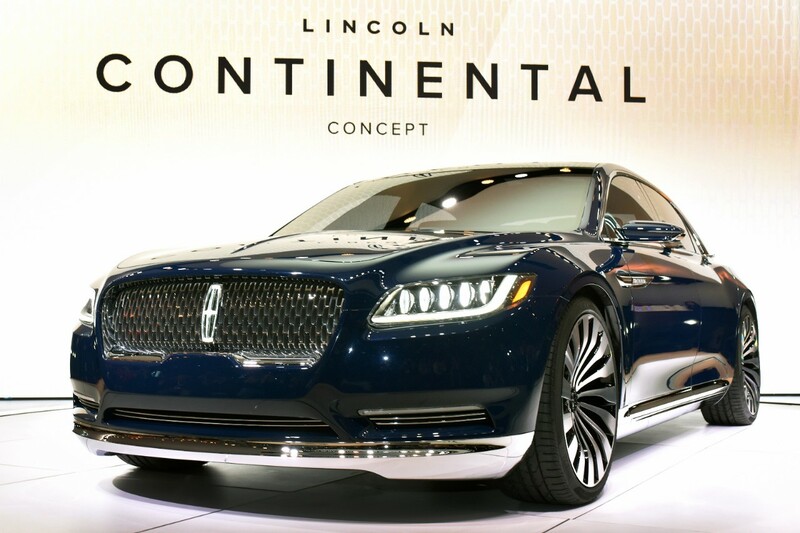 And at 2015 New York Auto Show, Lincoln brings back Continental to the crowd. Introduced ad a concept car, Lincoln said that they planned to release it in 2016. Its exterior design is clean and good, even though its line reminds me of Bentley Continental. But overall, it’s still a nice concept car. Up front, there’s a brand new face of Lincoln design language. It comes up with regular chromed grille and LED headlights with laser-assist high beam. From side, we can see the door handles now using E-Latch technology that is tucked discretely. Lincoln said that the tech made opening and closing the door easier and quieter. The car’s interior features Venetian leather seats and door panels, Alcantara seat inserts and armrests, satin headliner, and shearling wool carpet. Lincoln Continental Concept brings EcoBoost engine V6 3.0 liter. I can’t wait to see it in production form.